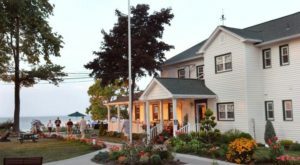 There’s one waterfront restaurant, however, that belongs at the top of your dining bucket list. 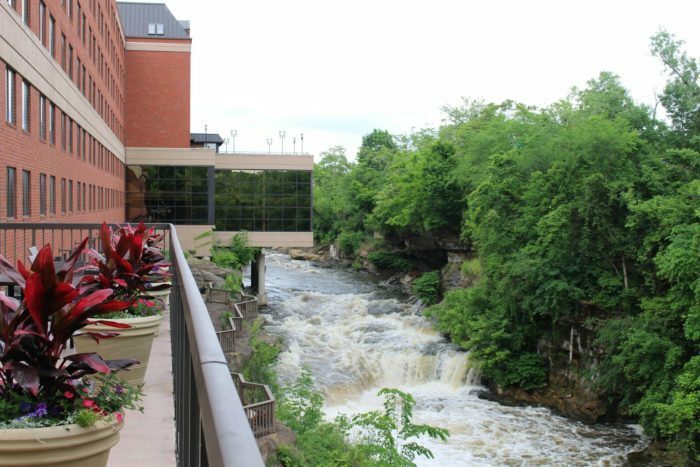 With stunning views of river rapids and waterfalls, a casual atmosphere and floor-to-ceiling windows, Beau’s on the River in Cuyahoga Falls is truly one-of-a-kind—and the food is pretty incredible, too. 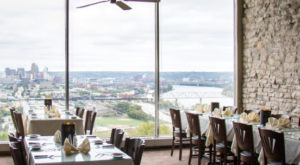 If you’ve yet to visit this northeast Ohio restaurant, you’re going to want to once you see the views (and pictures of the food, of course). 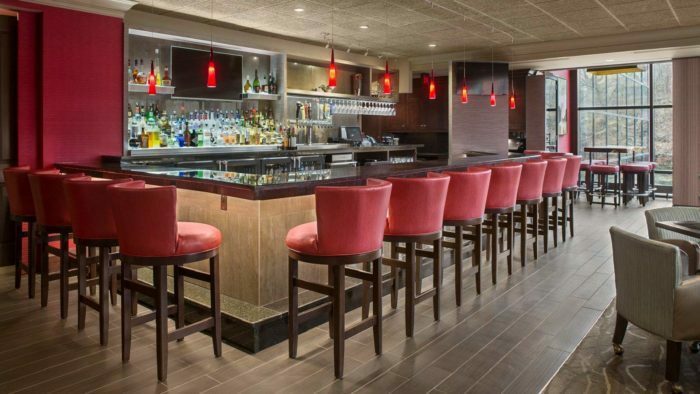 At the Sheraton Suites Akron/Cuyahoga Falls, you'll find this hidden gem of a restaurant that most people don't know about. 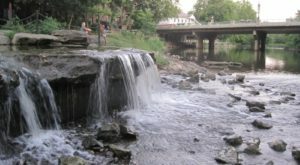 It's located at 1989 Front St., Cuyahoga Falls, OH 44221. The floor-to-ceiling windows, classy decor and casual atmosphere make this a place you'll want to stay awhile. 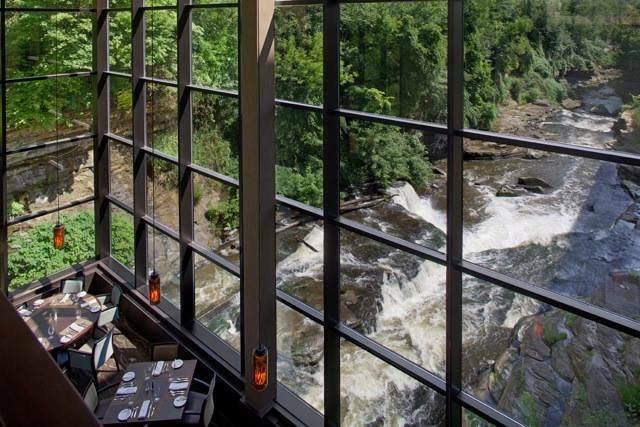 Lunch is served Monday - Friday from 11 a.m. - 2 p.m.
Of course, what really makes this restaurant special (aside from the food) are the sweeping views of the Cuyahoga River rapids below. 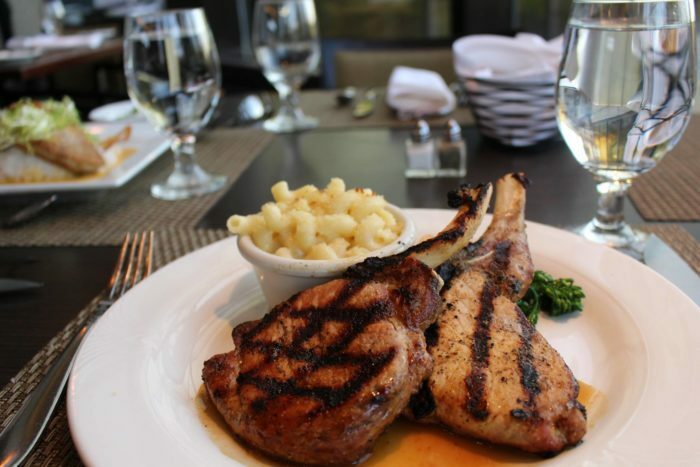 Dinner is served Monday - Saturday from 5:30 p.m. - 10 p.m.
On the menu, you'll find several delicious fine dining options, such as Apple Cider Glazed Twin Pork Chops with Seasonal Vegetables and White Cheddar Mac (pictured). 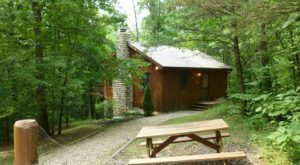 You can also enjoy a scrumptious breakfast at Beau's on the River. 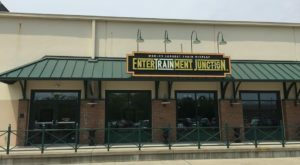 Breakfast hours are as follows: Monday - Friday from 6:30 a.m. - 11 a.m. (The buffet ends at 9:30 a.m.), Saturday from 7 a.m. - 11 a.m. and Sunday from 7 a.m. - 9:45 a.m. 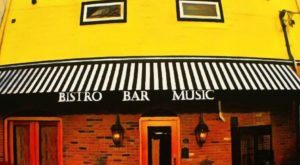 There's even a Sunday Brunch, served from 11 a.m. - 2 p.m.
And with a full bar, impressive wine selection and happy hour specials, you can make dinner even more special. 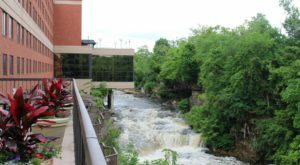 Beau’s on the River is located at 1989 Front St., Cuyahoga Falls, OH 44221. 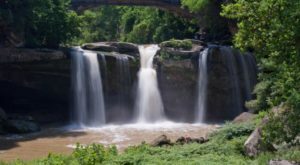 Have you ever been here before? If so, we want to know what your experience was like! 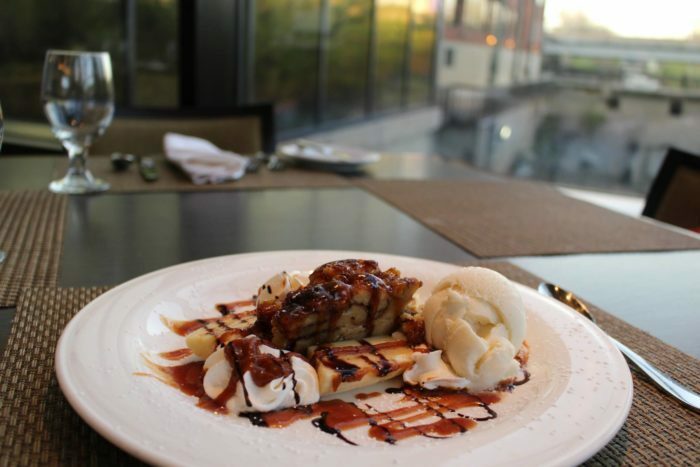 For more Ohio restaurants with beautiful waterfront views, check out our previous article: 8 Ohio Restaurants Right On The River That You’re Guaranteed To Love.